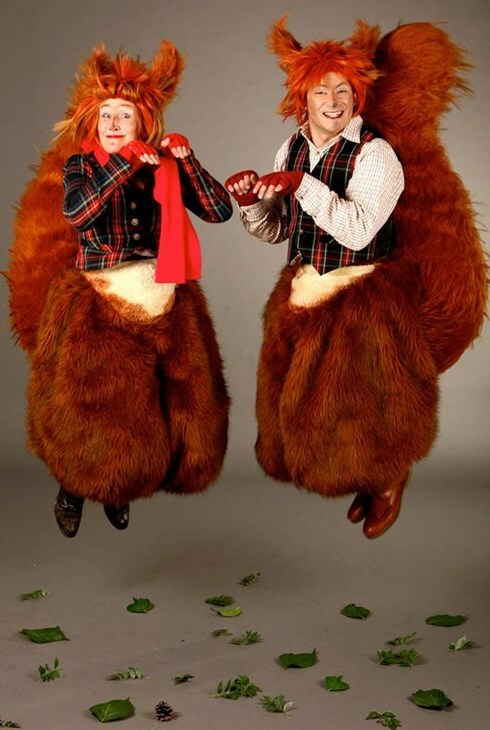 Cheryl and Cyril Squirrel are two red heads who scamper, dance, cause mischief, are always on the lookout for something to hoard. To everyone's amusement Cheryl reveals what squirrels really keep in their handbags, discusses her family tree and shares the family album. Meanwhile Cyril is trying hard to grow a moustache and also trying very hard to avoid Cheryl. 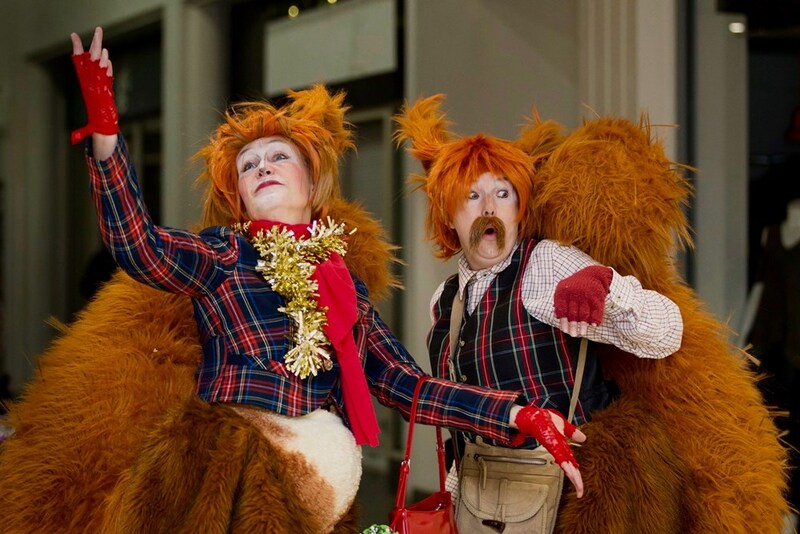 These comedic Squirrels are furry, interactive, musical, very lively, have a great line in chitter chatter and bring lots of fun to festivals, functions, shopping malls, forests, fairy rings and dreys. 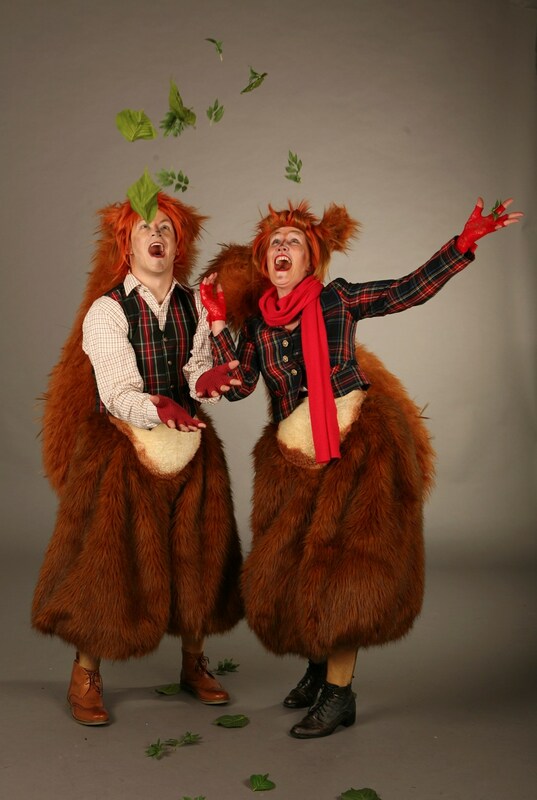 The act is suitable for poeple of all ages and can be booked as walkabout or is perfect as a corporate meet and greet "anyone for nuts?" "Cheryl is about to burst into song ...cover your ears"